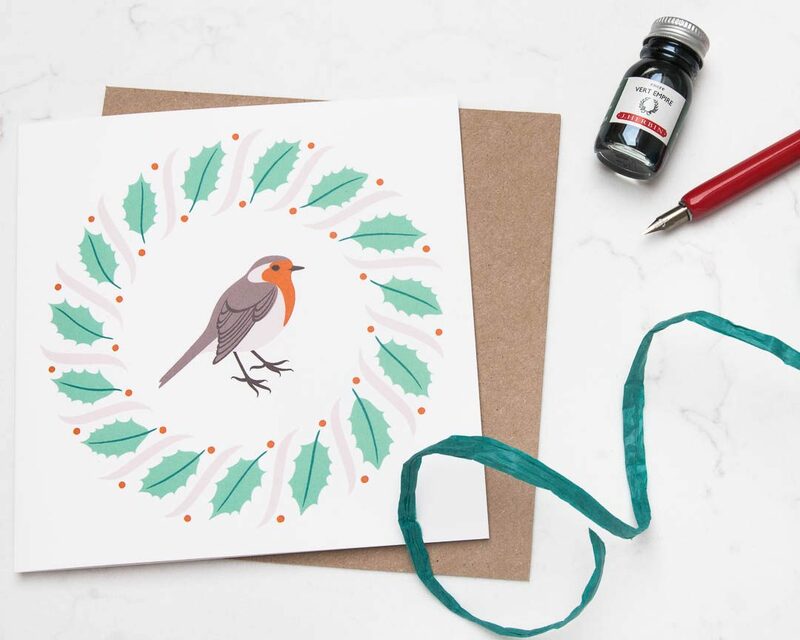 A set of 6 blank greeting cards featuring an illustration of a Robin surrounded by a winter wreath. 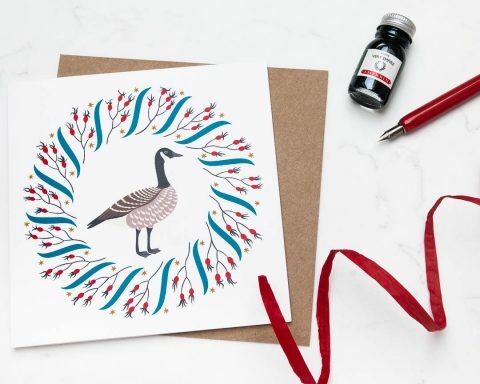 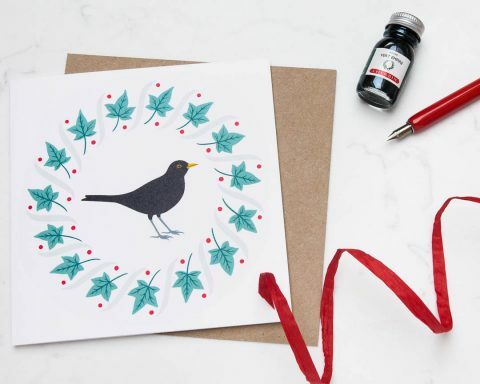 Perfect for sending seasonal greetings or for anyone who simply loves winter wildlife! 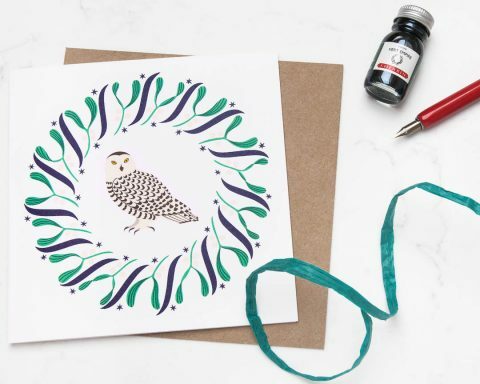 Based on an original brush and ink drawing by Persephone Coelho.